Classic 4 inch centerset is constructed of a brass body for enhanced finish and performance. Simple installation for an easy upgrade. 2-handle design for ease of use. Brand new style meets all-around use in this beautiful piece from Kraus. Turn your bathroom into a stylish space with this dual-control faucet. This item adds charm to any bathroom and is made with a mounted deck that is easy to set up. This WaterSense certified faucet helps save water, money, and the environment. Cirrus Centerset (4-inch) 2-Handle Low Arc Bathroom Faucet in Bronze with Lever Handles Show off your style with this beautiful piece from Kraus. Make your bathroom look even fresher with this dual-control faucet. This item's deck mounted design is easy to set up so you can enjoy a finished counter top. 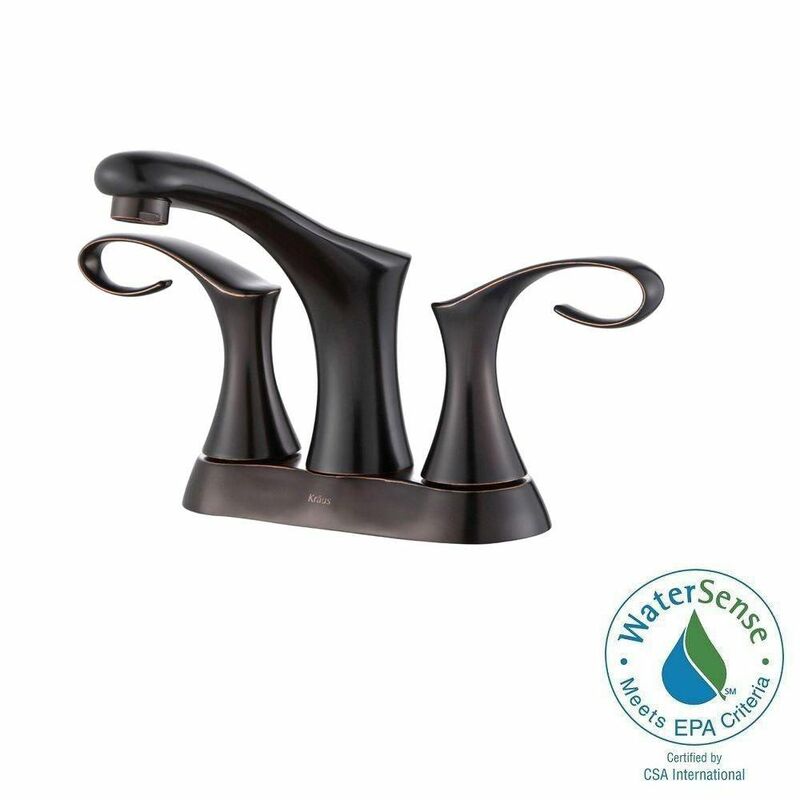 This faucet is WaterSense certified for less water use to give you the same clean. Cirrus Centerset (4-inch) 2-Handle Low Arc Bathroom Faucet in Bronze with Lever Handles is rated 4.9 out of 5 by 21.